The Society for Libyan Studies has over 200 individual members of which around a quarter are based overseas. The membership of the Society is composed of Honorary Members (elected for distinguished service) and Ordinary Members. Society Members receive a free copy of the Society’s annual journal, Libyan Studies, and the opportunity to buy the Society’s other publications at significantly reduced prices. They also receive copies of the Society’s Annual Report and annual accounts. Members and friends based in the UK are invited to at least four meetings held in London each year. The final meeting of the year, held in December, is preceded by the Society’s Annual General Meeting. Members have full voting rights on all decisions taken at the Society AGM. Members may also receive invitations to other social and networking events, such as post-lecture Society receptions and the British Academy’s annual summer soirée in London. 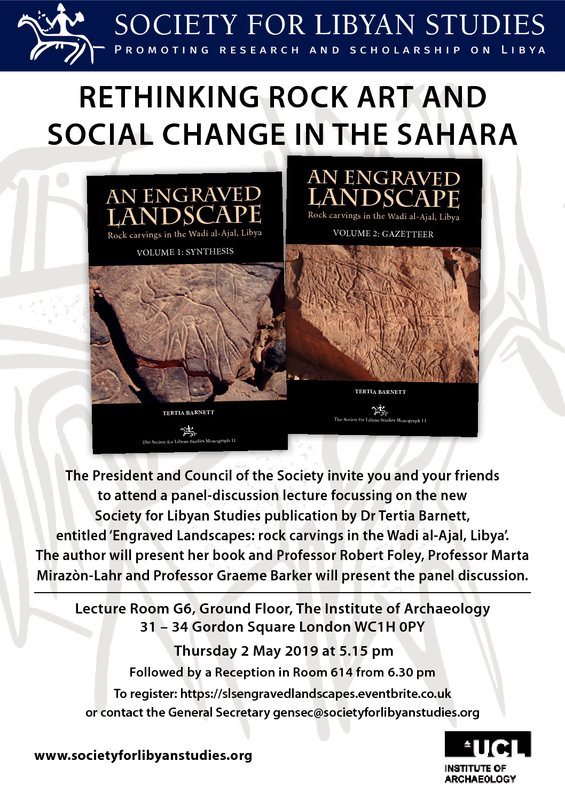 In addition, members may use the Society’s other resources including our extensive Library of books on Libya and related North African subjects, which is currently housed at the School of Oriental and African Studies (SOAS) in London, and the Society Archive which includes collections of rare books, manuscripts, documents, photographs and drawings about Libya, which is now held at the University of Leicester. If you would like to Join the Society for Libyan Studies or renew your existing annual membership subscription please click here for full instructions and payment options.